I have something exciting! I have created a book of logs. I have spent many, many hours over several months making these logs. Daily log sheets broken down by age. 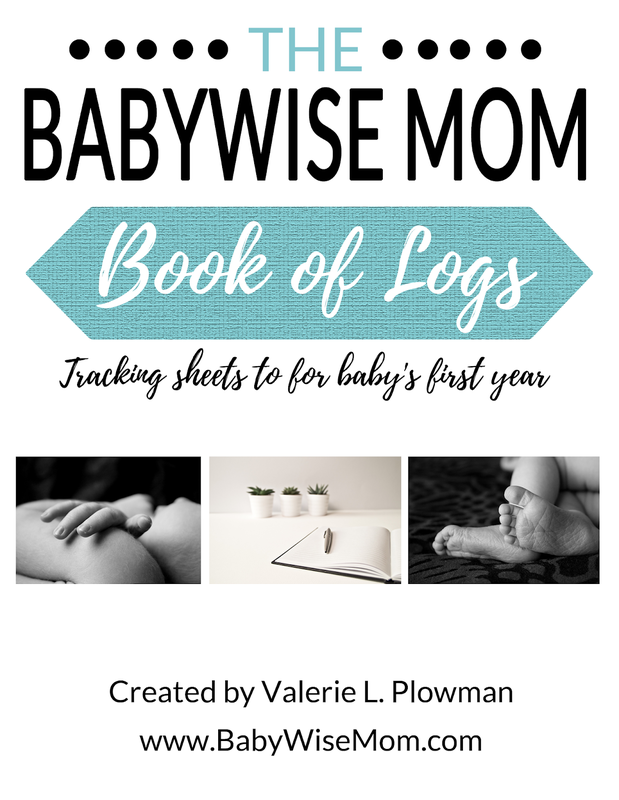 On each page, it provides places to record feedings, naps, diapers, stats, events, playtime (when appropriate), and milestones. It also includes information for that age, such as suggested number of feedings, feeding intervals, and independent play lengths. 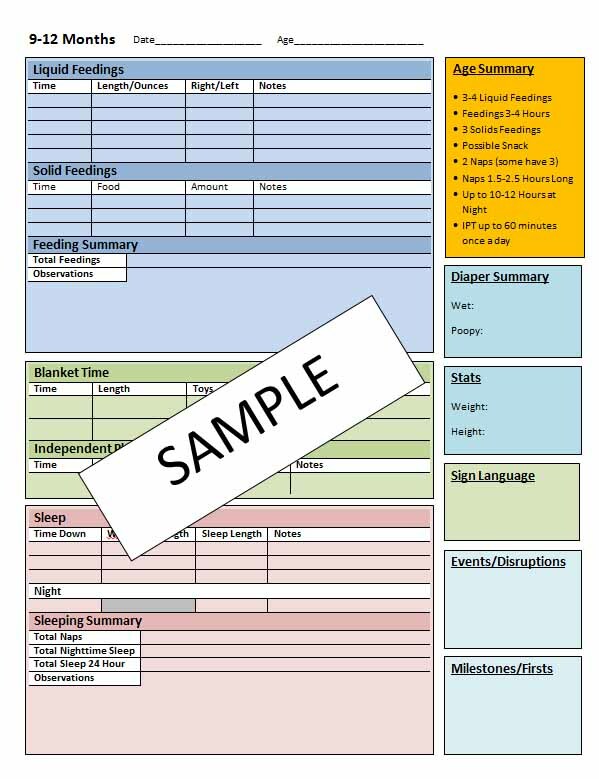 Optimal waketime log for tracking waketime day by day and help you figure out what is optimal. Optimal waketime weekly log for tracking waketime for the whole week on one sheet. 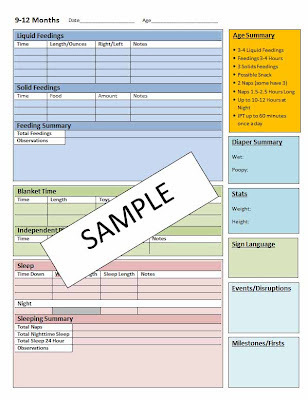 Independent Playtime daily log for tracking indpendent play on a day by day basis. Solids log for helping you while you introduce new foods to your baby. Language log for helping you with teaching signs to your baby. 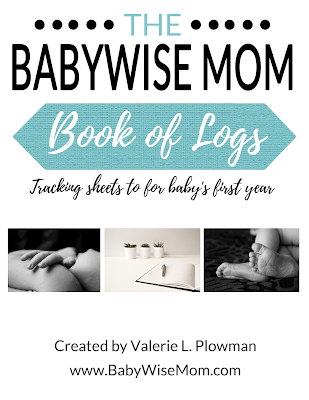 The Babywise Timeline. Two pages that summarize your baby’s first year. Infographics for quick references for sleep milestones. You will get it in PDF form and can print it as you desire. You could print out pages and keep them in a binder, print out pages and have them bound, print and laminate and use wet erase markers to re-use pages…whatever you like. To purchase, click the Add To Cart button below. You will then have an instant download. It is that simple! You must mean $100.00 because that's how much they're worth!!! When do you recommend dropping the dream feed and how do you do it?My little one rarely wakes for it (5.5 months old) still wakes in the middle of the night (seems really hungry). Hoping to help him sleep through the night more consistently and go to bed earlier. Thanks! That will be a nice thing for my son to read somewhere down the line. I wonder where I put his experiences in those music classes for toddlers though. You just gave me a very good idea. My son would probably be laughing in his cotton nightwear once he reads a log like this when he gets older. Hi! I ordered your Log-E book a few days ago and haven't received the PDF via e-mail yet. About how long does it take to receive the PDF? I have a newborn, so I am really looking forward to getting on schedule! Thanks! Theresa, did you get your pdf? I just purchased one and was hoping for immediate delivery as I don't have a printer and went to a friend's house to print. Thanks so much!!! I will pass your blog along to all my new mama friends. You're a huge blessing!!! This is amazing!!! Thank you so much!!! I like to analyze my work based on data not just trying to remember what happened, so I started making something like this before I saw this post and now it is all done for me! Thank you so much Val! You are a BW superwoman! I paid through paypal early yesterday and am wondering how I get the PDF?? I was really hoping to get it quickly as I've started training with my 5wk old and have a very small window before I return to work. Please do let me know!! Thank you!! Hi where will you send the log…I ordered it this morning but didn't see a place to input my email address! Thanks! I bought this yesterday with PayPal and wasn't sure how you will get my email address since I didn't enter it, unless you can get it from my paypal account. Do I need to do anything more to get the ebook? How did you all get your PDF of the log? I too purchased it and haven't received anything or been told when I will. I wanted to use it today, and I'm also worried I won't be getting anything. Please let me know! I also purchased the PDF and have not received it. Anyone else that purchase finally get it? If you purchase and do not get it, send me an email at [email protected] and tell me the email address associated with your paypal account. I will verify the purchase and send you the book. About once a month, paypal doesn't inform me of a purchase. Pusat Jual Obat Aborsi Terpercaya / Obat Telat Bulan / Obat Penggugur Kandungan. Good Doctor Company memberikan Cara Menggugurkan kandungan dengan aman dan dipercaya oleh ratusan pelanggan, BUKTIKAN !! !